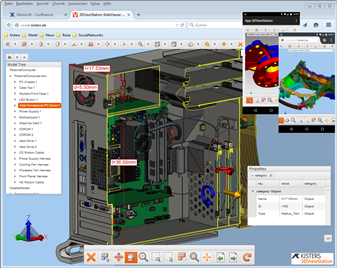 In addition to the client-based 3DViewStation Desktop the HTML5 web-based solution 3D ViewStation WebViewer supports Catia, Creo/ProE, NX, SolidWorks, SolidEdge, Inventor, JT, STEP, IGES and other file formats. Easily integrate it into any web solution, product configuration solutions, service applications, cloud solutions, and portals to access a large number of useful functions. Save time and costs by integrating and completing tasks in a continuous flow with this single application. For example the DMU process allows users to simultaneously load and analyze data from different CAD systems without conversion. Read how Siemens Active Workspace is enhanced by 3DViewStation. Technical editors appreciate new capabilities to map and display products in various stages of product development: Hide or show parts. Apply color coding. Create exploded views. 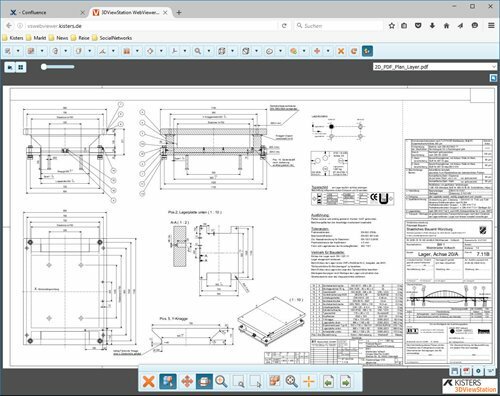 3DViewStation empowers editors to easily export work as image files for placement in work- or assembly instruction. Export capabilities include STEP and 3D PDF options. 3DViewStation equips various stakeholders with powerful, yet essential tools rather than overwhelm and over-charge them for unnecessary features. Eliminate purchase of multiple and expensive imaging software licenses. Minimize the cost of purchasing & maintaining servers when you take advantage of the hosted solution. Compare 3DViewStation Desktop and 3DViewStation WebViewer. Which version better fits your needs? Preview 3DViewStation with this gallery of images before starting your 30-day free trial.